Board of Appeal members Mary Jo Griffin, left, of the Registry, Roger Babb, center, of the Division of Insurance, and Jeanne Koehr of the Attorney General’s Office conduct hearings. Why can’t we keep drunks off our roads? The Registry of Motor Vehicles’ strict interpretation of a requirement that drunken drivers pass in-car sobriety tests has some complaining that it’s nearly impossible to get back on the road. Melanie’s Law, the state’s tough new drunken-driving law, requires repeat offenders who get their licenses back to install the so-called ignition interlock devices in any car they use. The Registry has interpreted that to mean drunken drivers who don’t have a car or regular access to one can’t have a license – even if their suspensions are up – because there’s no place to install the equipment. Lisa Gillis, a three-time drunken driver from Whitman, says that leaves her with few options. The state’s Board of Appeal in January agreed to give Gillis a hardship license allowing her to drive to work or school before her full suspension was served. The problem is, she doesn’t have a car to put an ignition interlock device in and can’t afford one, she said. So she’s still without a license. “I’ve been out of work,” said Gillis, who said she’s been sober for six years. “I live in Whitman. There’s no public transportation. It costs me almost $10 to get to the commuter rail. I have no one to drive me anywhere. The Registry’s strict reading of the ignition interlock requirement is only part of its effort to keep tabs on drunken drivers who are allowed back behind the wheel. The agency earlier this year began requiring applicants to prove they can’t get to work on public transportation to be considered for a hardship license. It isn’t clear whether the policy has reduced the number of people who are given their licenses back early. The Registry issued 588 hardships in the first two months of the year, though that includes hardships given to traffic scofflaws who may never have driven drunk. Figures for the same period last year were not available. Still, Collins, the registrar, said she’s confident the Registry is being strict when handing out hardships. “We’re trying to make sure we give proper scrutiny and we’re taking these cases very carefully,” she said. Despite tough new laws aimed at keeping them off the road, scores of drunken drivers still get their licenses back long before their suspensions are up. In January alone, 41 of 107 drunken drivers who asked the state Board of Appeal for early reinstatement were successful, even though they had an average of two years left on their suspensions. 34 of those drivers had been charged with drunken driving at least twice; 19 had three or more offenses under their belt. A Plymouth man had nearly two years shaved off his 10-year suspension despite being caught driving drunk six times. A three-time drunken driver from Whitman who was given her license back early once before caught another break when the board agreed to cut more than three years off her eight-year suspension. “The numbers are shocking and people should be disgusted,” said Barbara Harrington, executive director of the Massachusetts chapter of Mothers Against Drunk Driving. In each of the cases, the drivers are recipients of so-called hardship licenses, granted to people who convince officials that their drinking and driving days are behind them and that the suspensions are crippling their livelihoods. 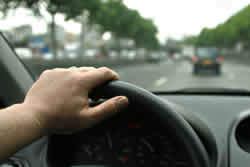 Most of the time, the licenses are good 12 hours a day to drive to work or school. The long-standing practice of doling out hardships has continued despite the signing last fall of Melanie’s Law, drunken driving regulations named for a 13-year-old Marshfield girl. That’s because the law, while including new safeguards such as in-car breath tests for repeat offenders, still cuts drunken drivers some slack. Massachusetts gives drunken drivers two avenues for pleading hardship. The most common route is to go to the Registry of Motor Vehicles, where a hearing officer will consider the request if the driver has served enough “hard time” on the suspension and meets other criteria. Registry officials said they granted 588 hardships in the first two months of this year, though the number includes those issued to traffic scofflaws. A breakdown of how many went to drunken drivers was not available. The figure also counts hardships approved by the Board of Appeal, since the Registry must actually issue the license. Drivers who are denied a hardship from the Registry, or who aren’t eligible under the agency’s rules, can take their case to the Board of Appeal. The three-member board, which includes one appointee each from the Registry, the Division of Insurance and the attorney general’s office, is given broad power under state law to modify or overturn suspensions, including those issued for drunken driving. While Registry hearings are closed to the public, the Board of Appeal is subject to the state’s open meeting law, and documents filed with the panel are considered public records available for inspection. The Ledger’s review of the 41 hardships licenses approved by the board earlier this year offers a glimpse into how the system operates and who benefits. Hilario Fernandes Jr. is a six-time drunken driver from Plymouth whose most recent offense scored him a 10-year license suspension. On Jan. 26, roughly one year and 11 months before that suspension expired, the Board of Appeal agreed to let Fernandes drive during daylight hours. Fernandes, 46, said in a telephone interview that he sought the return of driving privileges because he is a painter and had to lug around ladders when walking to job sites. Then there’s James Meeks of Brockton. Meeks, 45, has three drunken driving offenses to his name. The last time he was pulled over, in 1999 in Randolph, he didn’t even have a valid license. In fact, Meeks has been busted nine times for driving on a suspended or revoked license, records show. Still, the Board of Appeal agreed to give Meeks a hardship license two years and 11 months before his suspension was scheduled to end. Meeks declined comment when reached by a reporter, except to say he needs a license for work. Board members said they take seriously their ability to restore driving rights, and carefully consider both public safety and the hardships faced by people who have been stripped of their licenses. On a recent day at a Registry branch office in Boston, members asked applicants questions about the last time they had a drink, how much and what sort of alcohol counseling they received. They inquired about what hours people work and where, whether they have children to support and how they’ve been getting by without a license. In each case, the board also reviews the applicant’s driving history, criminal record, probation file and other pertinent documents. In the Fernandes case, for example, the board considered the fact that his last offense was nearly 12 years ago, and that there was no evidence of driving on a suspended license, said Jeanne Koehr, the attorney general’s representative on the board. In other instances, the board considers appeals from drivers who are prevented by technicalities from applying to the Registry for relief. Board members said they also feel more confident now that Melanie’s Law requires repeat drunken drivers granted hardships to install an in-car sobriety test in any car they operate. The device, called an ignition interlock, prevents a car from starting if the driver has been drinking. If concerns about public safety have been adequately addressed, helping someone get to work and earn a living isn’t a bad thing, Babb said. The question of whether to grant hardships and to whom is not new in Massachusetts and was raised just last year when lawmakers debated Melanie’s Law. While allowing the licenses to remain, the Legislature did instill some new checks. In addition to requiring ignition interlock devices, Melanie’s Law makes some drunken drivers wait longer to apply and prohibits hardships during suspensions triggered by a chemical test refusal. To Rep. Frank Hynes, D-Marshfield, Melanie’s Law doesn’t go far enough on the issue. He said people who have driven drunk time and time again should serve their punishment, regardless of the hardship it causes. “The focus here really has to be the safety of the general motoring public, not the interest, however valid or worthwhile there may be of an individual,” Hynes said. Marshfield resident Ron Bersani agrees. He was the driving force behind Melanie’s Law, which is named for his granddaughter, Melanie Powell, who was run down by a drunken driver in 2003 as she walked from the beach with friends. “When you’ve seen the ultimate terrible tragedy that can result from it, you have a little bit different outlook,” Bersani said. Karen Eschbacher may be reached at keschbacher@ ledger.com. Q. What is an ignition interlock device? A. An ignition interlock device is an in-car sobriety test that prevents a car from starting if the driver has been drinking. It is the size of a cell phone and is electronically connected to a vehicle’s ignition. A. Drivers blow into the device. The vehicle will not start if the percentage of alcohol in a driver’s blood is higher than .02 percent – one fourth the legal limit for driving while intoxicated. Once the vehicle begins moving, the device beeps at random intervals, indicating the driver must blow into the equipment again for a rolling re-test. The retests are designed to ensure someone else did not illegally start the car, and that the driver is not drinking while driving. If a driver fails the rolling retest, the car doesn’t shut down. Instead, the results of that test and other information from the equipment are uploaded to the Registry of Motor Vehicles during mandatory monthly maintenance checks and disciplinary action is taken then. Q. Who must have an ignition interlock device? Repeat drunken drivers whose licenses were reinstated as of Jan. 1. The devices must remain for two years. Repeat drunken drivers granted hardship licenses, which allow them to drive on a limited basis before their full suspension has been served. The devices must be used for the length of the restricted license, and for an additional two years after full driving rights are restored. Q. Who pays for the device? A. The drivers must pay a private vendor to install and monitor the devices. There are currently three vendors certified by the state to install ignition interlock devices, and costs vary by provider. Smart Start charges a $125 installation fee, and $85 a month for required monitoring. LifeSafer Interlock Inc. charges $85 for installation and $75 a month. Q. What are the penalties for violating ignition interlock laws? A. Anyone who is required to have the device but drives without one faces a mandatory 150-day jail sentence and a fine of $1,000 to $15,000. Trying to start a car after drinking or missing a rolling retest twice in a 30-day period will result in the device going into “lockout.” Once in lockout, a driver has 48 hours to return to the vendor, which will upload the data to the registry and reset the device. If the device goes into lockout two times, the registry can suspend the driver’s license for 10 years. The registry will also yank a license for 10 years if a driver fails a rolling retest. Eighty-two drivers had on-board breath tests installed in their cars in the first two months of the year as part of the state’s tough new drunken-driving laws, and officials expect that number to grow significantly. The ignition interlock device prevents a car from starting if the percentage of alcohol in a driver’s blood is higher than 0.02 percent – one fourth the legal limit of 0.08 percent. Under Melanie’s Law, named after a 13-year-old Marshfield girl killed by a drunken driver, the devices are required of repeat drunken drivers whose licenses were reinstated as of Jan. 1 and repeat offenders granted hardship licenses allowing them to drive to work before their suspensions are up. The requirement took effect at the beginning of the year. The ignition lock requirement has prompted the first challenge to the law. A twice-convicted drunken driver from North Attleboro is fighting a requirement that he install a device because his case was decided before the law took effect. Registry of Motor Vehicles officials said in December that nearly 800 people could be required to install the devices in January and February, based on the number of drivers whose suspensions were ending or who were eligible to apply for hardship licenses. Registrar Anne Collins said last week that was the maximum number of people eligible to have the devices installed and Registry officials never expected to approach that number. A variety of reasons account for the actual number installed being smaller, she said. Logistics may also play a part. Anyone required to have an ignition interlock installed must attend a Registry hearing and fill out paperwork, a process that takes time. Also, when the program was launched in January, only one company was authorized to install the devices. That meant drivers from some towns had to travel considerable distances for installation and monthly maintenance appointments. Two other companies have since been approved to install the on-board breath tests. And at least one of them – Dräger Safety Diagnostics – is expanding to several new locations, including a Randolph shop scheduled to open this week. Such changes, and the fact every person whose suspension has ended will have to install the devices to get their licenses restored from now on, will help the program grow, Collins said. “It’s an important public safety program, and we’re going to continue to work to make it better and more customer-focused and more apt to protect the public,” she said. The number installed is still relatively small, but ignition interlocks are already preventing people from driving drunk. The Registry took disciplinary action five times in February because of violations. And in two instances in January and February, ignition interlocks have gone into “lockout” mode, meaning a driver either tried to start the car after drinking or missed a required retest while driving twice in a 30-day period. Once in lockout, a driver has 48 hours to return to the vendor, who uploads the data to the Registry and resets the device. If the device goes into lockout two times, the Registry can suspend the driver’s license for 10 years. Ron Bersani of Marshfield, the grandfather of Melanie Powell, whose death inspired Melanie’s Law, said he hopes ignition interlocks will be a powerful tool in the fight against drunken driving. “Hopefully, it’s going to be one more thing for somebody to think about before they get behind the wheel of a car and drive drunk,” he said. Karen Eschbacher may be reached by e-mail at keschbacher@ledger.com.